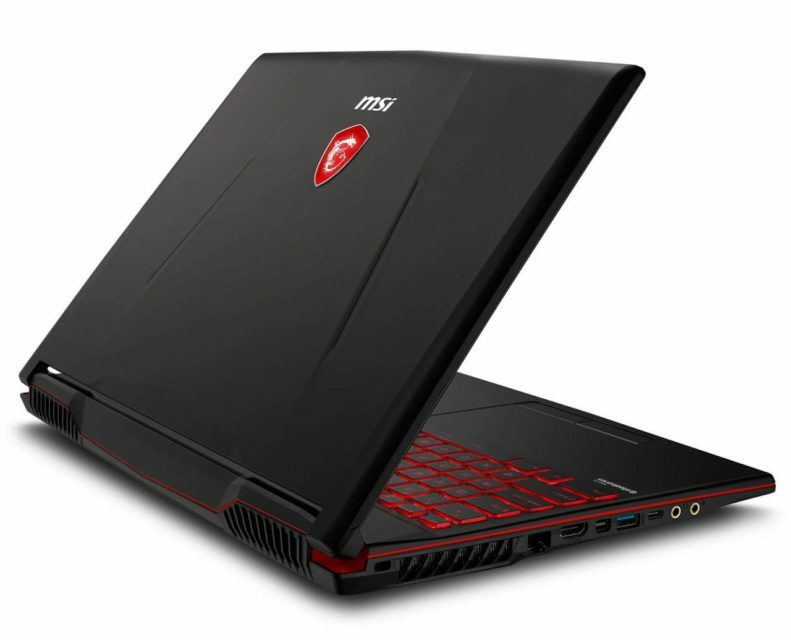 MSI introduces its new reasonably priced 15-inch gamer PC , the MSI GL63 8RD-021XFR. 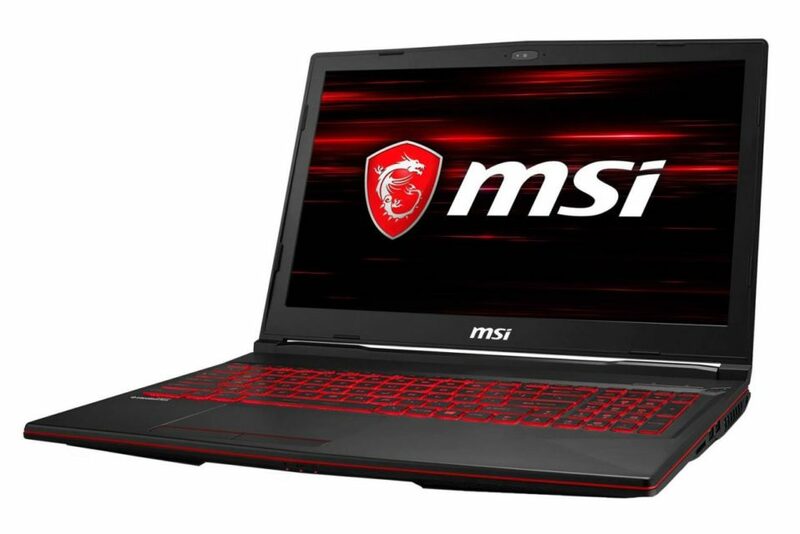 Under its subtly red-tinted chassis, it hides the latest-generation Coffee Lake Quad Core i5 processor, 8GB of RAM, 1.1TB hybrid storage and GeForce 1050 Ti (4GB GDDR5) for graphics processing. . Added to this is a matte Full HD display, generous connectivity, a neat design and a red backlight Silver Lining Print, not to mention the amenity of play brought by the MSI technologies. It is displayed at less than 1000 euros without Windows preinstalled. Aesthetically, the MSI GL63 8RD-021XFR assumes its gamer vocation with a structured design that is both elegant and aggressive. MSI has however made an effort on the weight of the box by reaching a reasonable 2.2 kg , enough to allow its transport during some displacements. 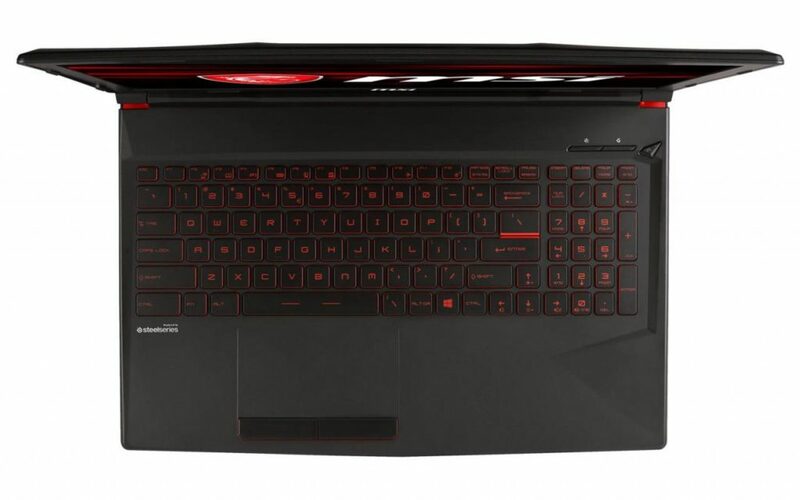 In addition, the entire frame is made of polycarbonate with no texture effect or special finish and the red details are limited to the lid logo, the keyboard and a red line running around the base. 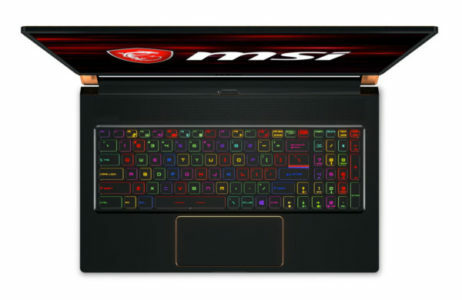 It\’s rather sober for MSI. Note the presence of a red keyboard backlight called Silver Lining Printing that shows through the full height of the key (outlines). More present, it allows to highlight the keys and ensure a good perception in a dark atmosphere. 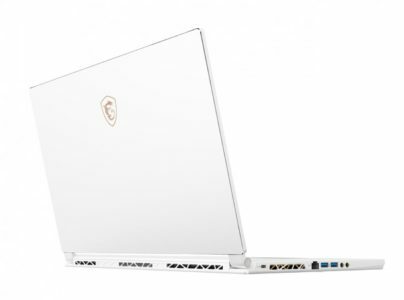 The PC also comes with valuable applications specific to MSI. With SteelSeries, the keyboard supports anti-ghosting on 45 keys, provides customizable macro keys and an optimized ZQSD key area. We still find the MatrixDisplay system that extends the display to two external displays and optimized cooling Cooler Boost 5 (7 heat pipes) that will automatically adjust the speed of 2 integrated fans (Whirlwind Blade). The system “Shift” is also on the menu and allows to switch to different modes of use (Eco, Comfort, Sport, Turbo) depending on the required performance. The sound is entrusted to Audio Boost and Nahimic 3. Namely that this PC is provided with FreeDos , a utility that does not allow to exploit optimally all its capabilities. It will therefore be necessary to install a complete operating system such as Linux or Windows to enjoy a perfectly functional environment. 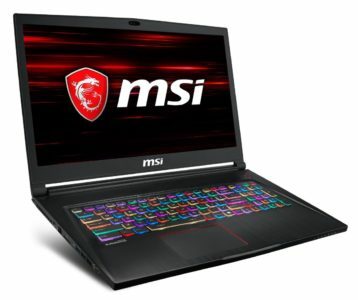 To establish its gamer destination, the MSI GL63 8RD-021X opts for the dedicated graphics card GTX 1050 Ti Pascal in its version with 4 GB GDDR5 dedicated . This one is able to measure itself to intensive players and to ensure honorable frequencies in Full HD on the totality of the titles of the market. Assimilated to a GTX 970M, it meets some limits in “Ultra” level in the most demanding opuses. In addition, it is not part of the cards that support virtual reality unlike the GTX 1060 and beyond. While the graphics are important for the gaming experience, the heart of this PC also draws attention as it is based on a latest-generation i5-8500H Quad Core Coffee Lake. Highly anticipated since the announcement of the Kaby Lake Refresh hinge processors, this CPU is making a quantum leap in performance compared to its predecessor, the Quad i5-7300HQ. In particular, it is able to maintain higher frequencies in Turbo and is even more powerful than a Quad i7-7700HQ in most scenarios. In short, this translates into perfect support for versatile usecomposed of video editing, 3D rendering, programming or engineering. A slight gain can also be observed in terms of game quality but this part depends mainly on the graphics card. Opposite, the storage is entrusted to a hybrid solution combining a hard disk of 1 TB to a SSD of 128 GB . The latter makes it possible to significantly increase the overall system responsiveness on a daily basis by ensuring shortened loading times, a virtually instantaneous launch of Windows and very fast file copies. The hard drive (5400 rpm) opposite will provide a large space to archive your entire library. The screen set for standard specifications. The Full HD resolution (1920 x 1080 pixels) offers a high display density while the matte treatment will limit the inconvenience associated with high ambient light. On the other hand, the support of a simple TN panel (Wide View) will limit the viewing angles and reproduce a rather inconsistent colorimetry and the rate of refresh is basic (60 Hz). To finish on the connectivity, its diversity is enough to satisfy the players. There is a card reader, two video outputs (HDMI 1.4, mini-DisplayPort) and four USB ports including three USB 3.1 ports and a USB 3.1 Type-C (no support Thunderbolt). You also benefit from the latest generation of 802.11 AC and Bluetooth 5.0 Wi-Fi chips as well as Gigabit Ethernet.